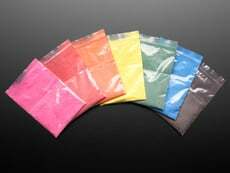 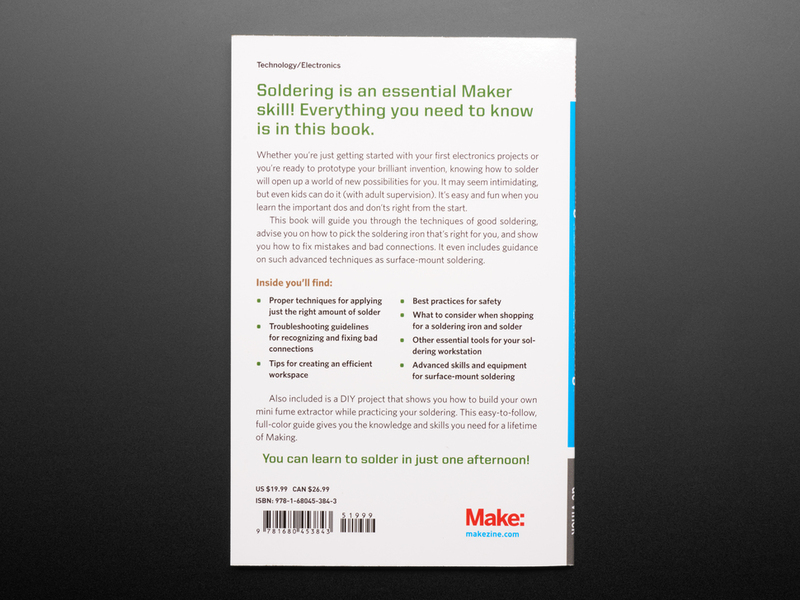 When you think of electronic engineering, soldering may be one of the first associations that come to mind. 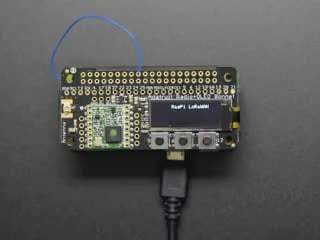 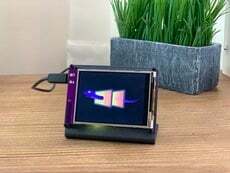 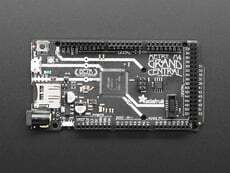 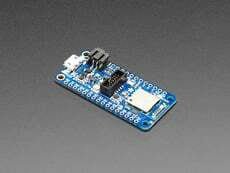 Many of our Adafruit boards are fabricated through a bulk soldering process called wave soldering or go through our Adafruit selective soldering machine. 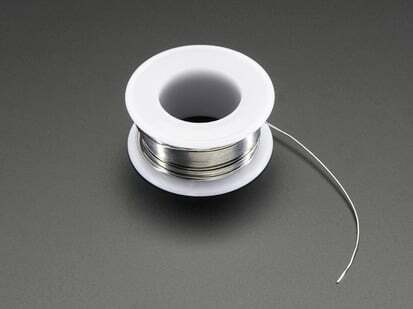 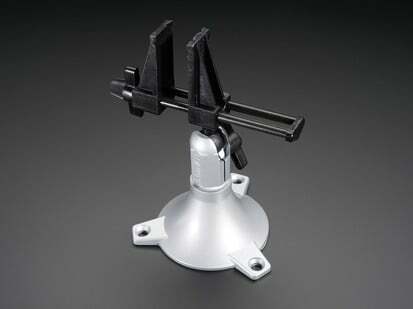 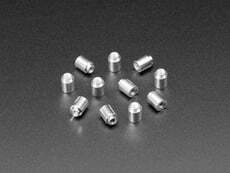 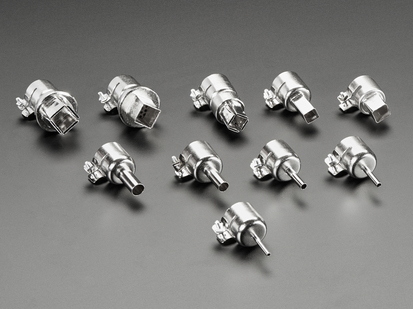 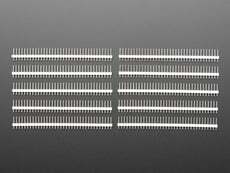 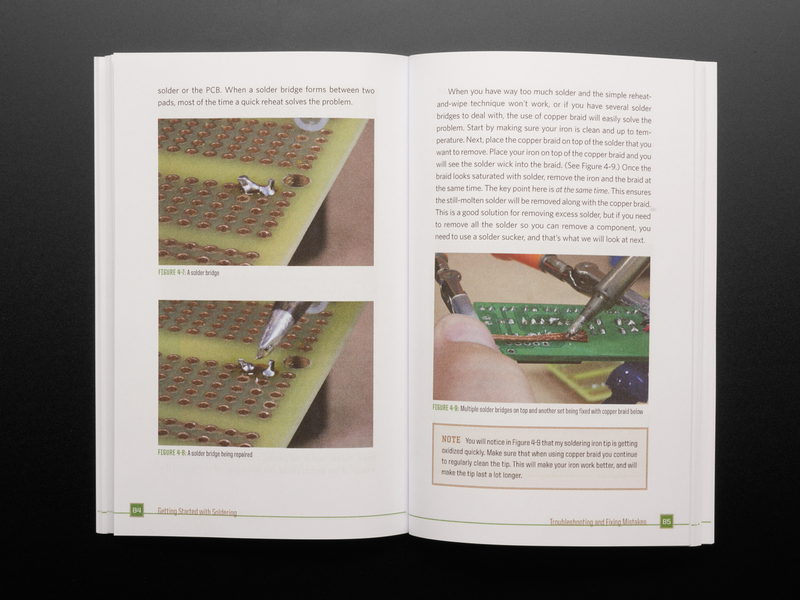 But there are several special boards that we personally hand solder additional components, like microphones or antennae. 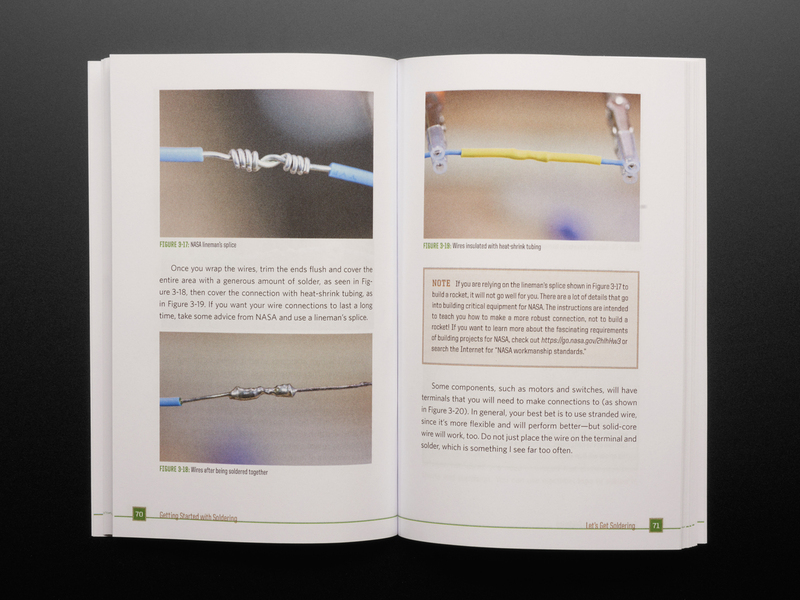 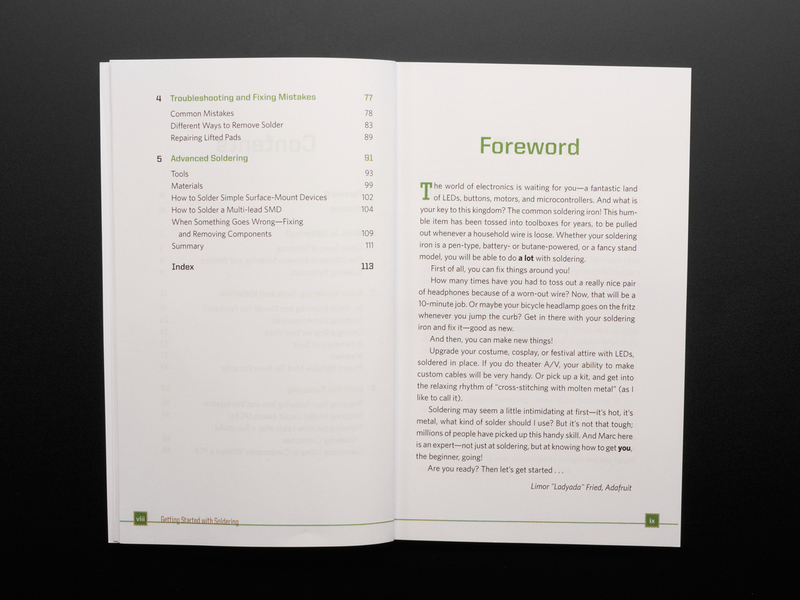 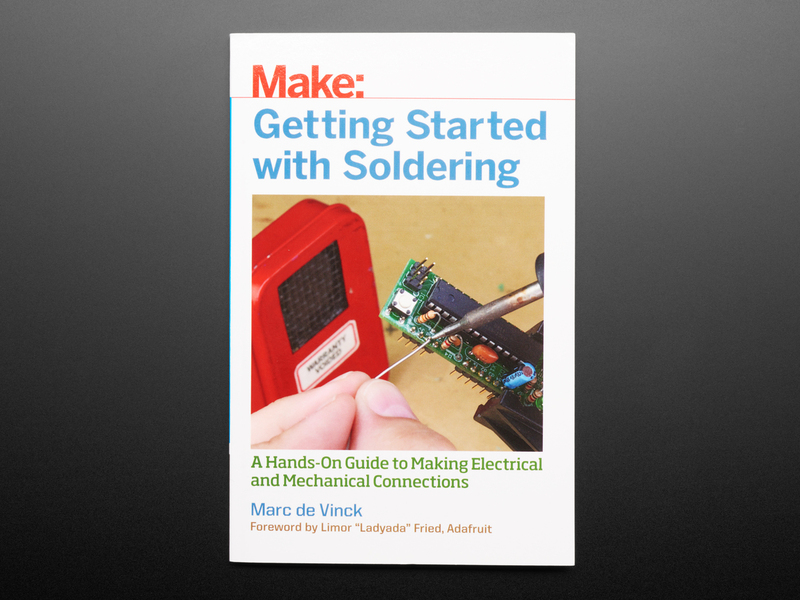 To give you that extra edge of confidence, Make: and Marc de Vinck came out with this nice, slim booky-book, Getting Started with Soldering - A Hands-On Guide to Making Electrical and Mechanical Connections, that includes a cool forward by our "Ladyada". 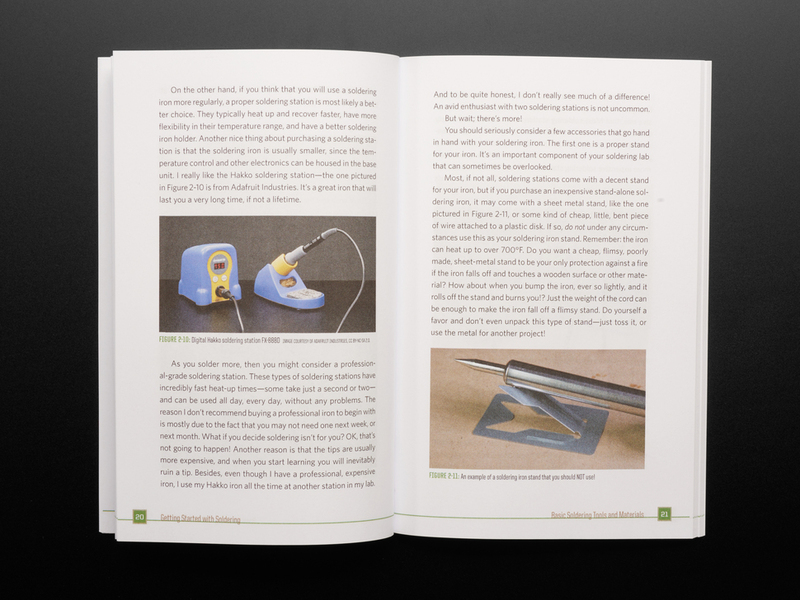 With these two experts breaking the basics down for you, you'll be "cross-stitching with molten metal" in no time! While your first couple of times soldering may feel a little intimidating, it gets much less scary as you gain experience points. Soldering is very handy (pun intended) to have in your savvy set of life skills, and the sense of accomplishment is palpable! 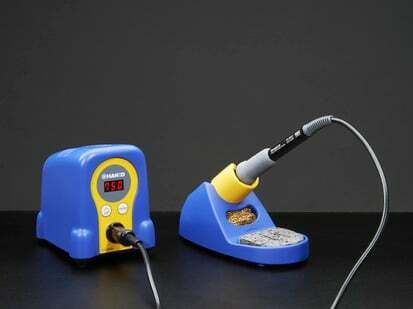 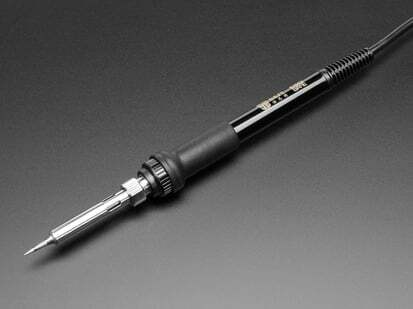 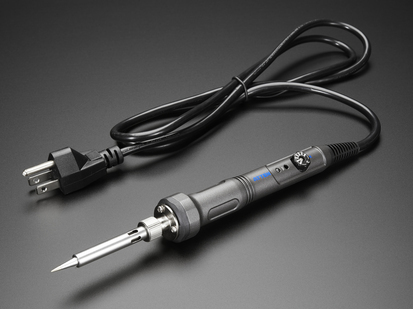 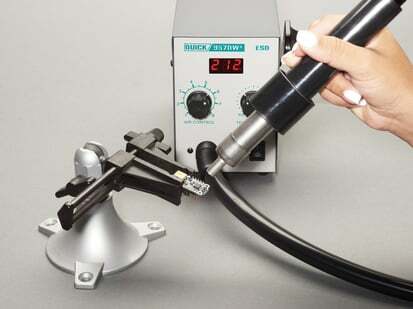 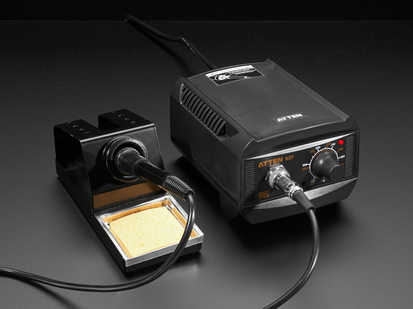 So, What Soldering Iron Should You Purchase?